Tereus is the king of Thrace. He tries to seduce Philomele his sister in law. Unable to do so he rapes her and cuts out her tongue to keep her from telling Procne what has happened. He is turned into a Hoopoe bird by the gods. 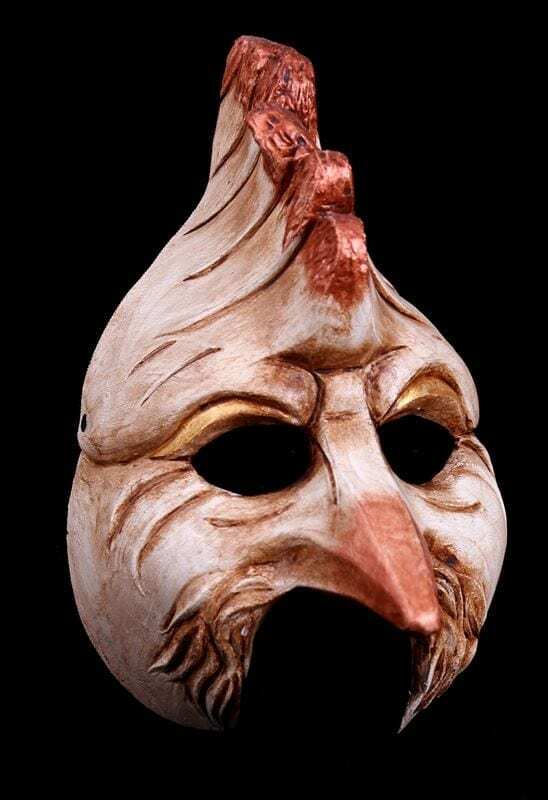 This stunning bird half mask is appropriate for many uses and applications. It has a beautiful expressive range.